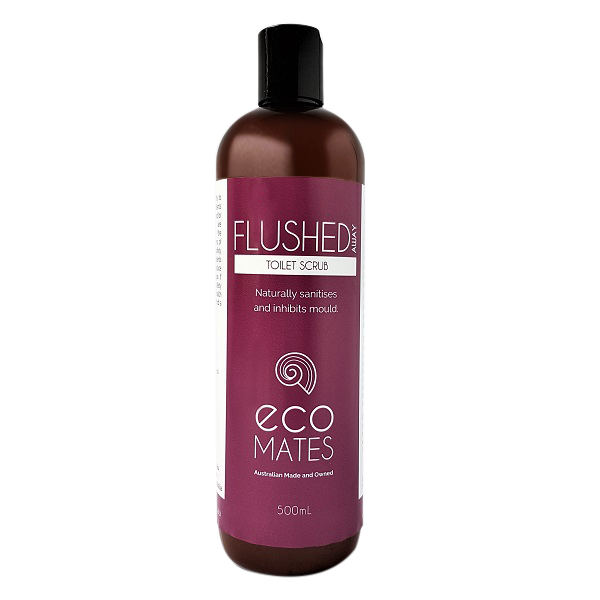 Eco Mates Flushed Away Toilet Scrub is an all natural, non toxic, marble flour based scrub cleaner for spotless results. 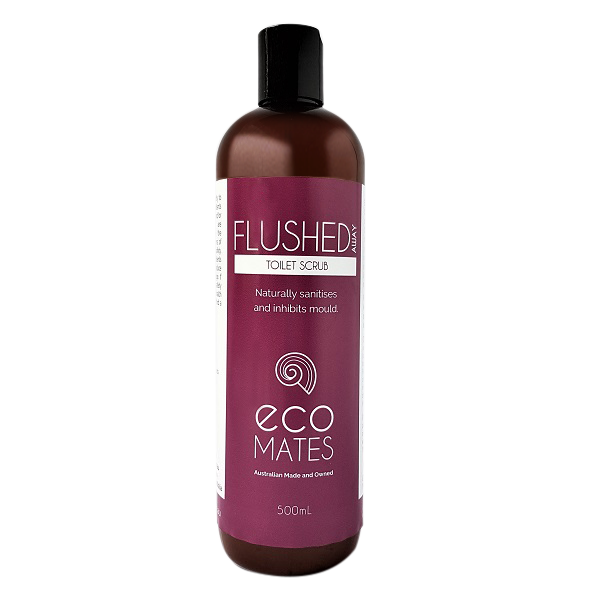 Proven to kill common household germs including E.coli, Staphylococcus and Pseudomonas bacteria using a certified organic, natural sanitiser, this cleaner is suitable for use on porcelain and ceramic toilets, as it does not contain corrosive chemicals that may etch into the toilet’s surface. This marble flour based toilet scrub gel is essential for cleaning any surface in your bathroom, however it has been specially designed for use in your toilet. You can use Flushed Away on tiles, grout, shower screens and porcelain and ceramic toilets, with no scratching or etching of surfaces. Flushed Away will clean soap scum, grime and even bore water stains in your toilet, effectively. Unlike using Bi-carbonate, the marble flour does not dissolve. This equals more effective scrubbing power and more economical cleaning for you. The organic bioflavonoids will naturally sanitise, plus inhibit mould growth in damp areas.